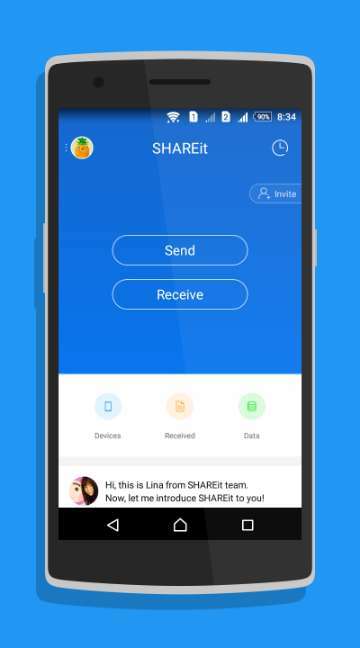 SHAREit is a free and powerful application that gives you the possibility of transferring different files between two devices at super fast speeds. It does not require Internet connection for transferring files. You can transfer all kinds of files including videos, music, documents, photos, files, folders, etc. You do not need any cables or drives in order to send and receive gigabytes of data. Two devices that have installed the SHAREit application can automatically find and connect together when they are in range. Good thing is that SHAREit allows transfer of gigantic files, but at much faster speeds than Bluetooth. The application allows added privacy and security, and all the transferred files are stored straight to your devices, not on the cloud. 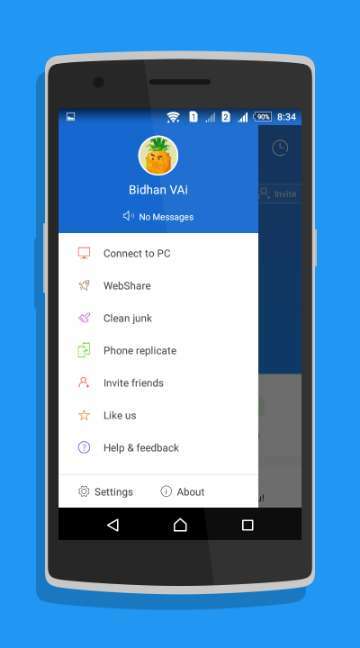 SHAREit is available for Android, iPhone, iPad and Windows users. Regardless of whether you have Bluetooth, using SHAREit is better because the speed of the transfer is forty times faster than Bluetooth. It comes also very handy that you do not need any wireless connection, and it connects devices very quickly and accurately. This essentially means that you will save valuable time, as there is no need for you to pair the devices every time you use Bluetooth. Pairing devices can be stressful sometimes, because the connection can often fail and you have to repeat the same process over again. SHAREit is a cross-platform and you can quickly and easily transfer files between smartphones and computers. One of the biggest positives about SHAREit is that it is completely free and you do not have to pay any money in order to download it. It is also an application that can be used on different platforms, so the sharing is very easy and done quickly. Cables or Wi-Fi connection is not needed for sharing files. Through this application you can send several files simultaneously to up to five persons at once. Pairing is eliminated, as the application automatically searches and finds the devices that are in range.